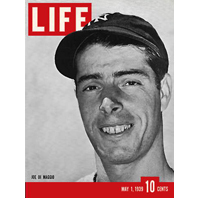 New York Yankees..... Hard to find 1939 Life Magazine and one of the best Joe DiMaggio collectibles to find in mint condition. No tears, page seperations, staining or any flaws. Spine tight.